Do some research: Check out their reputation and the termite services they have been providing to their customers in their period of existence. Do they have testimonials that stand up to their claims of good service? There are always reviews on companies online that can be of assistance and a good company should always have some available on their website. Get a guarantee: Any good termite control company should be able to offer you a guarantee when it comes to their services. Are they certified by a reputable organization? Forget the customers- a good termite control company should be respected by another professional organization as well. Get a company with a free termite inspection offer: Companies that offer free inspections have are better as you can easily tell the kind of termite removal services you will get from them should you hire them by how thorough the inspection process is and how the technicians interact with you. At Arizona Termite and pest control service we pass the test. We have been providing excellent termite services for more than 21 years and have testimonials of happy clients to back this up. Our clients have trusted us for years and we have not let them down. We give you a guarantee on each and every one of the pest and termite services that we give to you. Our technicians are licensed experts who are trained in the best modern termite treatment methods in the market. 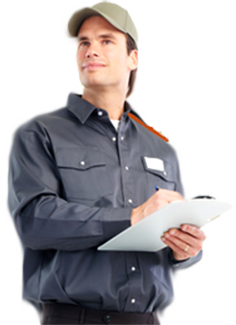 Arizona termite and pest control is about making relationships, we offer our clients technicians that are living in their area of residence because they understand the place better. We give fast response as well as a call back guarantee on all your requests. We are a Termidor Certified company so you can trust that our services will be satisfactory. Take advantage of our free termite inspection to see how good our services are. Arizona termite and pest control services is a family owned company that will take care of your residential and commercial property as if it was our own. Submit a request today we would love to be of assistance. | Bed Bug Lawyer | Daniel A.Gibalevich - Personal Injury Lawyers | Personal Injury Attorneys PLLC | For Phoenix Windshield Repair or Auto Glass Replacement click here. "Termite Control Arizona help save my home from thousands of dollar in damage due to a termite infestation. They got rid of all the bugs and made sure my pets were safe." "I am a real estate agent and I have used Termite Control Arizona for years. They are reliable, affordable and have integrity."